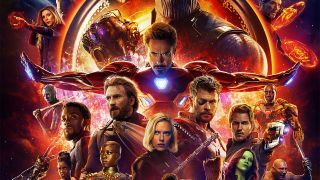 Poll: Who will die in Avengers: Infinity War? Let's not beat around the bush. We all know that someone is dying in Avengers: Infinity War. Maybe even more than one someone. Thanos is the Big Bad (capital Bs warranted) and there's no way the Avengers and co are taking him down without losing some teammates. Question is, who won't live to see Marvel Phase Four? There are plenty of candidates up for grabs by the icy claws of death, with one of the longest cast lists in the history of cinema attached to Avengers 3, but some are more likely than others. So who do you think will die? With Infinity War out in a matter of days, vote in our poll below to let us know who you think is going to bite the dust. Right now it's not looking good for Cap who's dominating the votes... could that have something to do with Chris Evans revealing that his Marvel contract is up after Avengers 4? Get your fill of MCU goodness with the best Marvel movies around and the new Marvel movies coming soon!